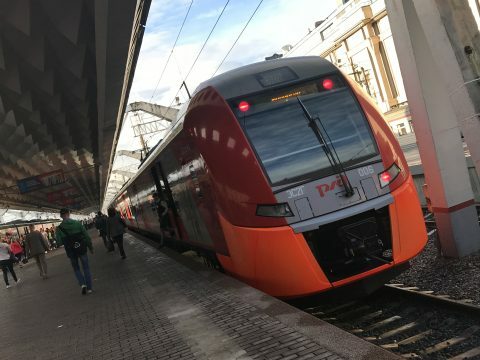 Because of the Olympic Games in 2014 and the World Cup in 2018, Russia has heavily invested in its railway in recent years. Before the World Cup, among other things, the metro line between Sormovsko and Meshcherskaya was extended to Strelka, close to the stadium. The country has also invested in new rolling stock. 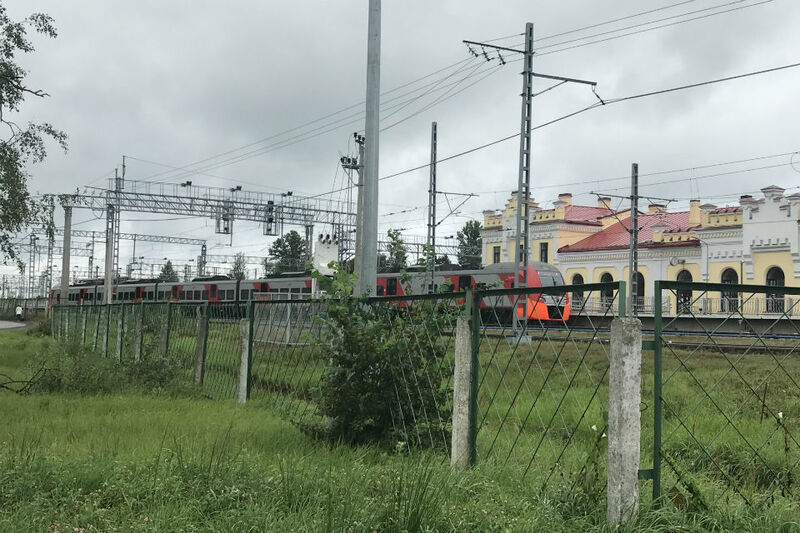 Reporter Thom Mandos travelled by train from St Petersburg to Chudovo and has written about his experiences. 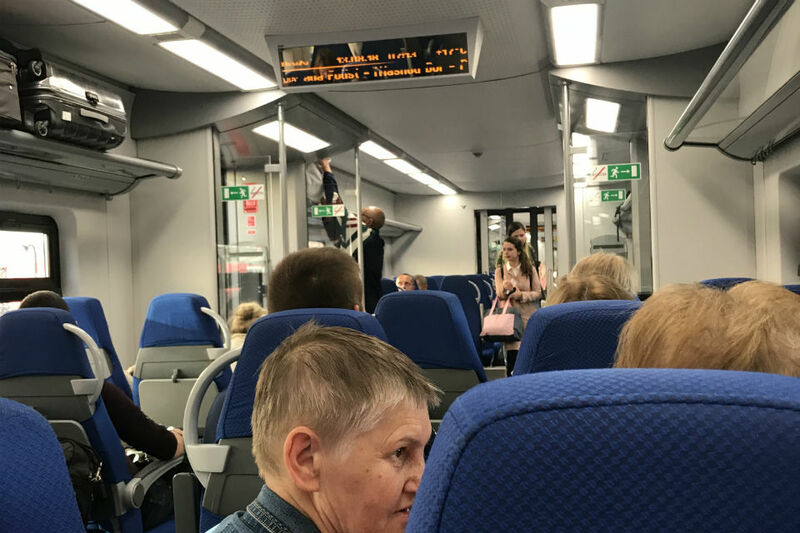 Your first time on a train abroad is always exciting—certainly in a country like Russia. I made my first journey in Moscow about four years ago, and it was an experience that I will never forget. The train was dirty, and the smell was terrible. My expectations for the train ride from St Petersburg to Chudovo, a distance of about 120 kilometres, were not much higher—I was prepared for the worst. St Petersburg has five large train stations in the centre. My train departs from Moskovskiy Vokzal, the station where trains head to Moscow. As I love an adventure, I choose a ticket for just three euros, with a local train Lastochka. I could have gone for a 25 Euro ticket for a Sapsan fast train, but the journey itself would have been the same—only there would have been fewer stops, making it quicker. The journey from St Petersburg to Chudovo with a Lastochka train takes around an hour and a half. These trains, from the Siemens Desiro family, were bought to carry passengers during the 2014 Winter Olympics. At 7.00 in the morning, the station is pretty quiet and looks clean and tidy. To check that the train is going in the right direction, as my Russian is nothing to write home about, I try to ask the staff member using my hands and feet. Just like everywhere in Russia, the uniforms worn by the railway employees are intimidating— the army-esque uniforms do not make them look very approachable. However, the woman is quite friendly, and it turns out that I am on the right platform. The train itself is not bad at all. It looks tidy, and is pretty quiet and modern. Since the football World Cup, the railway has had a big impulse. The dirty train from four years ago from Moscow to just outside the city has been replaced, and finally the announcements in the station are also made in English. In front of me, three sweet grandmas are chatting. Three, because the seats are set up in rows of two by three. 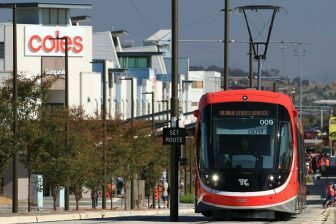 The train departs precisely on time. People are whispering; here they take account of their fellow passengers. I hear a mishmash of whispered Russian conversations, and do not understand a word of what’s being said. The train moves relatively slow in the city, but is still quick compared to driving on the impassable Russian roads. 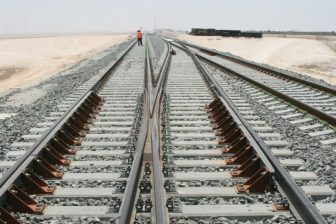 We chug along the track at 45 kilometres per hour. People politely ask each if they can take a seat, or if the seat is taken. 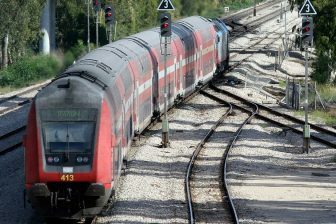 The further we get out of the city, the quicker the train goes. From 50 kilometres an hour we finally get to around 110 kilometres an hour. It is nice that we can see what the speed is, as well as the temperature. As the speed gets higher, the temperature gets lower, the further we get out of St Petersburg. The girl that gets on at the second stop and sits next to me has got a bit too much perfume on. The smell gets right up my nose; luckily it is not a bad smell. Unfortunately a few stops later she gets off, and a man with a less pleasant odour takes the seat she has vacated. What I notice the most during the journey is a cemetery that we pass at Kolpino. It looks like everyone has buried their loved ones in a random place: there are no paths, only graves, dug in a criss-cross fashion. This final resting place for many is very close to a busy train line. At 135 kilometres an hour, we shoot through the forests. At Tosno a woman speaks to me in Russian. I think she asks me if the seat is free. In any case, she walks past with her son to some other seats where they can sit together. In the two-person seat next to me, a girl is playing World of Warcraft online. The grandmas get off the train at the town of Loebanjit. After a very long and relaxed conversation, their fun is over. I get off a few stops later, at Chudovo. By this point, the train is pretty empty—few people are going to Veliky Novgogrod, the train’s final stop.